Brooklyn, NY - The alleged mastermind of the horrific 2014 murder of Williamsburg landlord Menachem Stark was found guilty today and is potentially facing life behind bars. 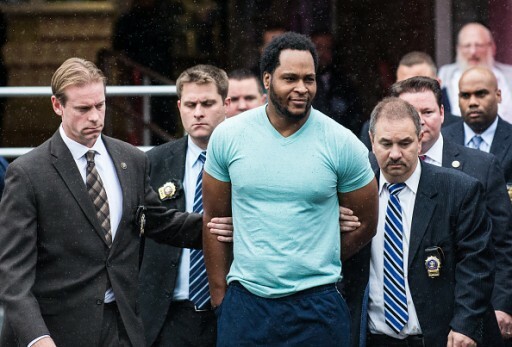 A Brooklyn jury found 40 year old Erskin Felix of Crown Heights guilty of second degree murder, first degree kidnapping and tampering with evidence, while acquitting him on charges of first degree kidnapping and conspiracy. When sentenced on May 1st, he will be facing anywhere from 15 years to life in prison. As previously reported on VIN News (http://bit.ly/2U25tWZ), Erskin Felix, who worked for Stark, was believed to be the mastermind behind the plot to kidnap his boss for ransom, the Chasidic landlord dying when he was overpowered and restrained by Felix who allegedly sat on his chest. Three other men, all Felix’s relatives, were also charged in the crime. Brother Kendall Felix pleaded guilty and was sentenced in late March to just two and a third to seven years for his part in the scheme. Felix’s cousins Kendel Felix and Henry Irvine are both awaiting sentencing, with Felix convicted of first degree kidnapping and second degree murder while Irvine pleaded guilty to hindering prosecution and attempted tampering with physical evidence. Family members cheered as the verdict was announced in the three week long trial in Brooklyn Supreme Court, reported the New York Post (https://nyp.st/2Z0hsrK). Felix’s lawyer Mark Pollard said that he was disappointed in the verdict and that he plans to file an appeal. Sister in law Tziri Hershkowitz said that the family is gratified by the jury’s decision. “Anyone who followed this trial from the beginning knows that this is the only obvious and just verdict,” Hershkowitz told VIN News. Tonight marks the last sheva brachos for Stark’s son Avrumi who was married last week. Brooklyn District Attorney Eric Gonzalez said that today’s verdict brought justice to Stark’s widow and his seven children. He'll probably also get two years. May his soul Rest In Peace and may his beautiful family only have simchas. Oh how sorely he is missed every day by friends relatives and just plain people.